An infusion used as a beverage or for medicinal effects. Yama (yar-ma) means ‘to give’ or ‘to share’. 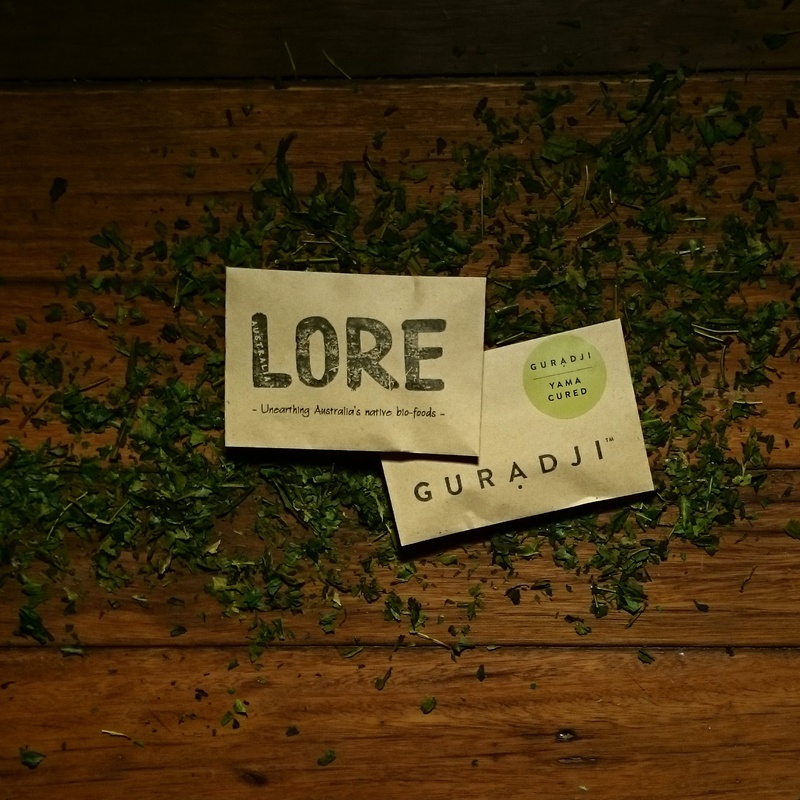 Gurạdji (ger-ra-je) is a traditional native plant used to bring people together, and support the three principles of healthy living, Country – Community – Spirit. 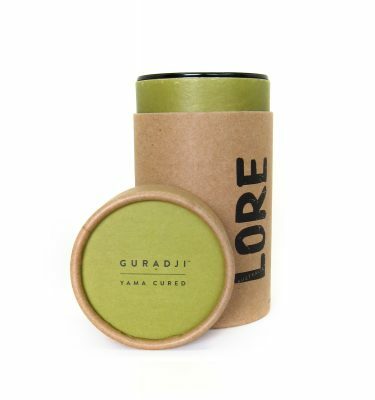 For those who appreciate their tea, our Premium Yama Cured tisane has a distinctive and contrasting taste to our Raw Sundried Gurạdji. 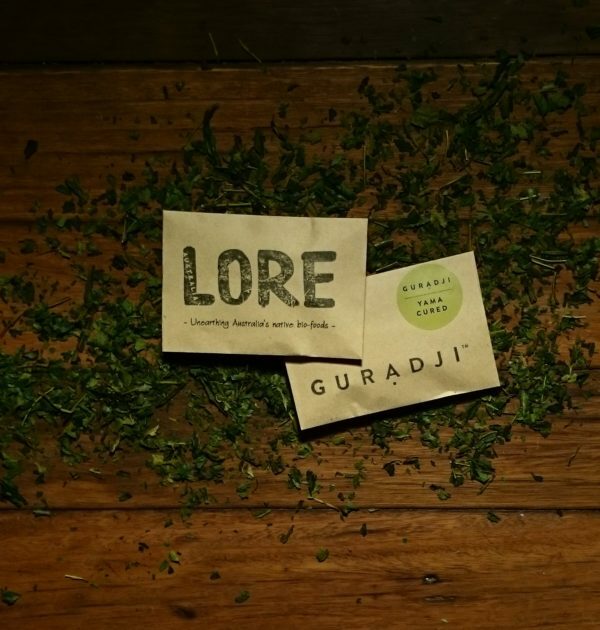 We harvest our Yama Gurạdji leaves from natural groves growing under tree canopies (leaves from plants grown in shade produce more chlorophyll and amino acids like theanine, resulting in a deep green colour and rich, fuller flavour). We then steam the leaves for a precise amount of time soon after harvest to stop the oxidisation of antioxidants. Then we put them through our unique hands-on drying process of hand rolling the leaves before lightly roasting them dry. This softens the fibres and releases flavour, giving it our own distinctive rich sweet and more embodied taste and aroma. This whole process can take up to 4 hours to achieve the finest cured result. Our Yama cured tisane is cleansing and refreshing. 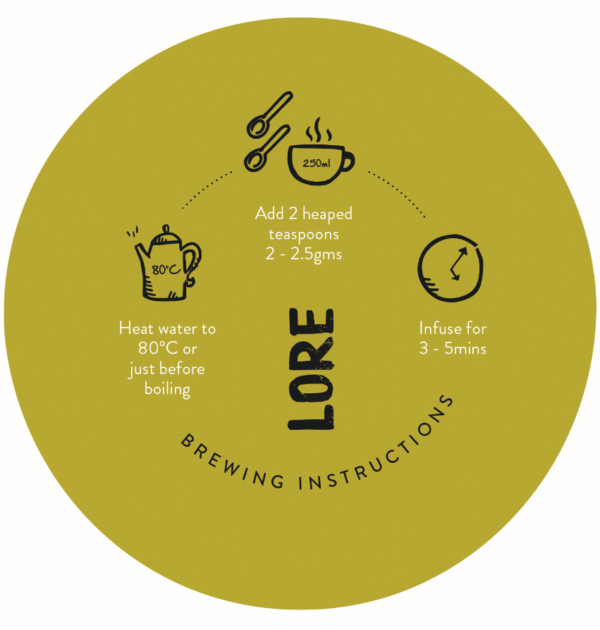 It has a delicate balance of sweet, soft bitter and green leafy tones with a pleasant umami taste. 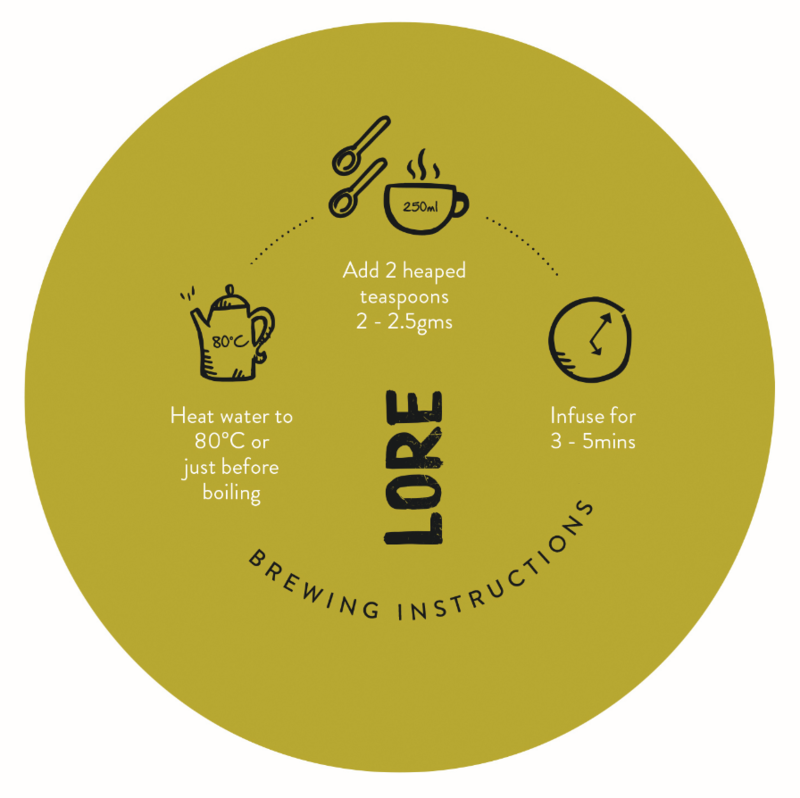 By keeping it local and handling each process ourselves, from the ground to you, we ensure you will always have a high quality tisane. 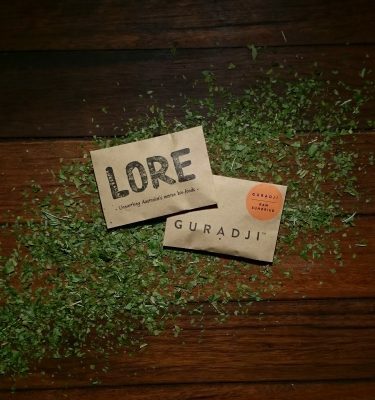 Our sample size Gurạdji tisane contains 5g of loose leaf which is equivalent to two cups of tisane. 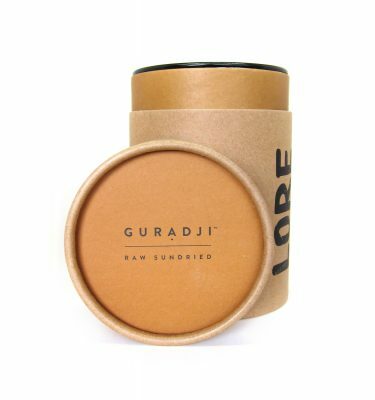 This sample size Gurạdji tisane is perfectly convenient for those on the go or for that unique small gift. Drink it in the morning light, throughout your busy day or as the sun sets. Brew a pot. Take a breath. And reconnect with what matters. Sustainable Wild harvest – Hand cured. Protecting our oceans with plastic free recyclable packaging. 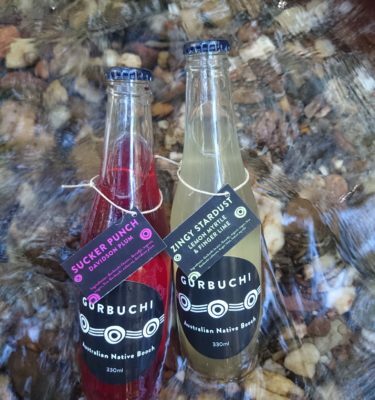 100% Australian owned, grown, packed & produced. Because we believe we need to be responsible for our environment and supporting our community.